Actual choppers that can carry people and fly for tens of hours at a stretch have always been powered from high-quality fossil fuels like aviation gasoline. It enables them to carry heavy loads and travel thousands of kilometers if the need arises. The use of battery-operated drones, including both rotary helicopters and fixed-wing planes have increased in recent years but their battery life and range leave a lot to be desired so their functions have largely been limited to surveillance and allied areas. But, as battery timings and technology improves, we will soon get ever closer to having a fully-fledged electric helicopter for people. 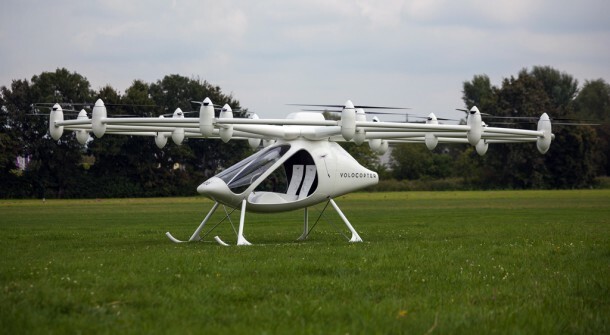 Volocopter is an attempt to make such a chopper. It’s obnoxious design says it all. The aircraft has the capacity to seat two people and they sit underneath a mesh of an astonishing number of props totaling eighteen. All of them have completely independent propellers. 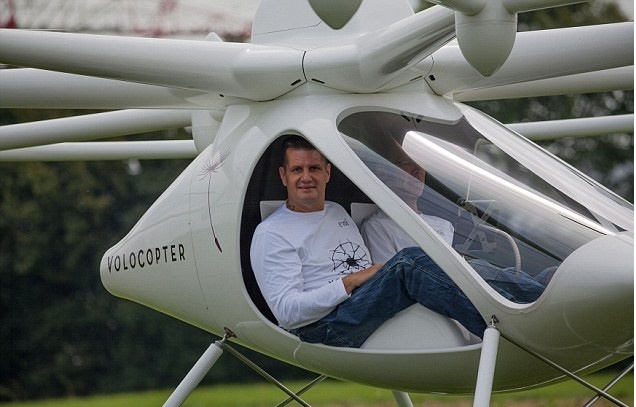 Despite the odd shape of the rotor support structure, it can take off vertically and in a very agile way as it appears. It can be controlled via a joystick in the cockpit or even remotely from the ground. The German inventors of this unique craft have largely been limited in their operations since the country laws don’t allow such rotor-based objects in the air. The group has been lobbying the government to relax the aviation laws to allow the development of their helicopter and establish a manufacturing facility. 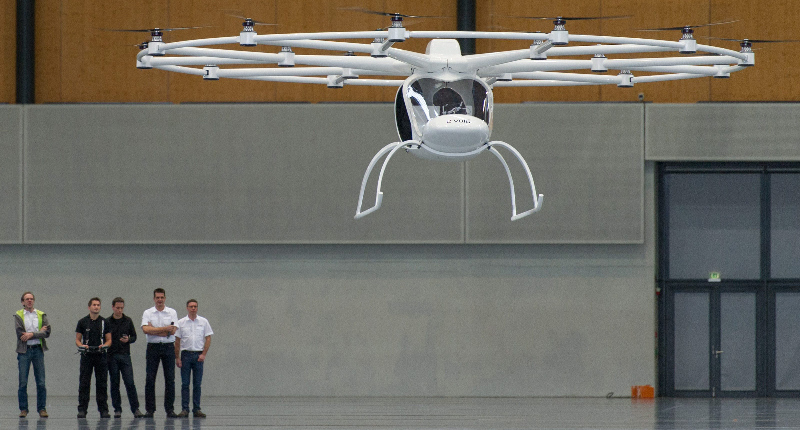 Alexander Zosel, CEO of E-Volo is optimistic about its success and believes that it could fill the role of a light sports multicopter and people will definitely like it because of its seamless working. Also, since it consumes no fossil fuels at all, it releases zero emissions and being in Europe where the laws were first to get tougher, this could be a game changer for the light aviation industry. As expected the main issue with the Volocopter is its endurance as it can only fly for about 30 minutes before the batteries die out. 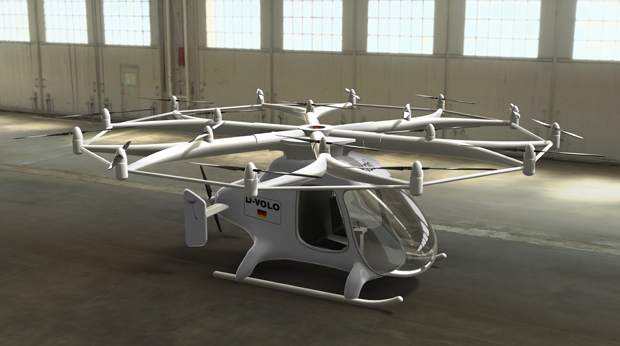 Volo is working on more efficient rotors and improved charge storage to make it last longer. Zosel wants to take the chopper and display it to the world in the famous EAA AirVenture show in the US because it is one of the most popular air shows in the world. I am sure he will bring his creation into the spotlight because of its design and electric nature. But, as expected, monetizing the whole thing might not be the best idea since the volocopter is estimated to be worth around 340,000 $. He is also refusing to share more pics and info of the electric copter because he cares for secrecy of the technology. The first manned flight is expected around next summer.